To celebrate, check out a “Haunting Note” (above) from the October 30, 1981 issue of The Maroon. Each year, the Loyola University New Orleans Maroon features fun, spook-tacular articles surrounding Halloween on campus and in the Crescent City. Another holiday remembered by the Loyola Maroon is All Saints’ Day. 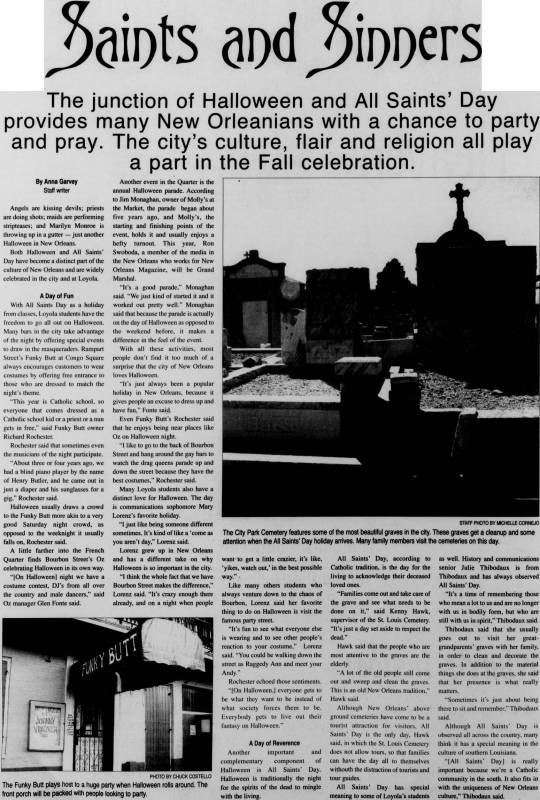 This article from the October 28, 1994 Maroon explains why All Saints’ Day is so important and reminds students to remember the Holiday amidst all of the Halloween celebrations. 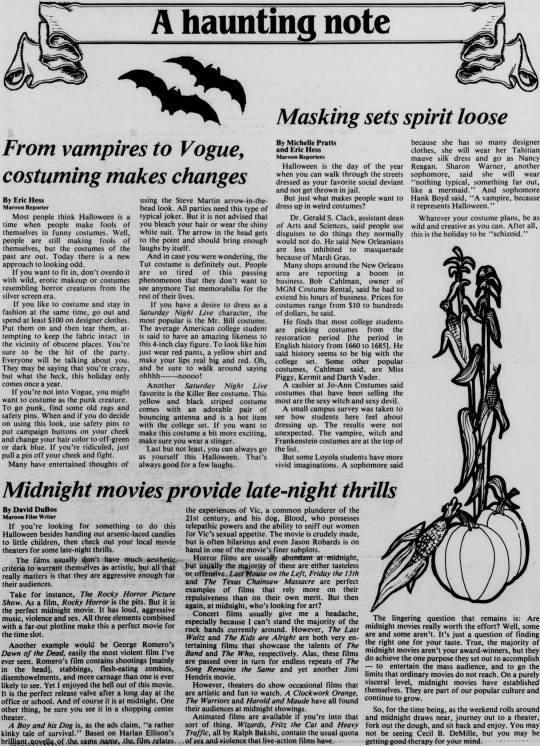 In 2001, the Maroon published an article on the lighter side of Halloween and All Saints’ Day. 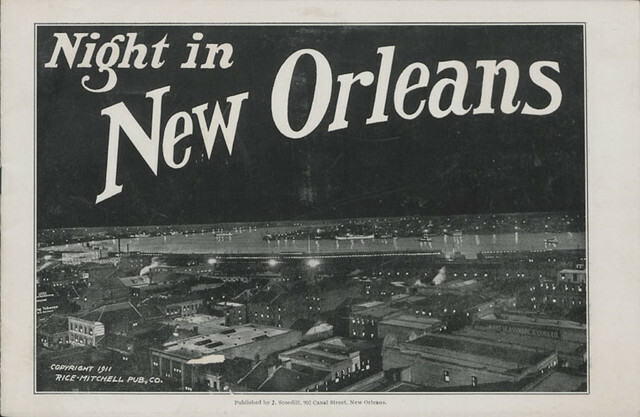 The Loyola University New Orleans Special Collections & Archives would like to wish you a Happy Halloween! We just wanted to remind you that Louisiana Early Voting is from Oct 25th-Nov 1st 8:30-6pm! Get the information you need from the Geaux Vote app. 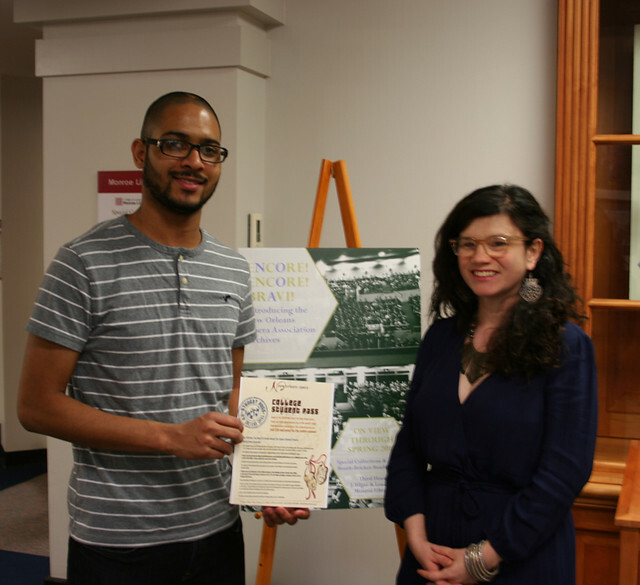 Congratulations to Alobi, pictured here with Special Collections and Archives Coordinator Trish Nugent, for winning our New Orleans Opera Association Student Pass contest. The contest involved a seek and find questionnaire & giveaway to support the “Encore! Encore! Bravi! Exhibit Introducing the New Orleans Opera Association Archives” exhibit in Special Collections & Archives. Alobi now has a student pass to the New Orleans Opera Association’s 2016-2017 season. Congratulations, and thanks to all who participated! Celebrate Halloween with this list of movie recommendations! All of these can be found in the Monroe Library DVD section on the first floor. Check them out! 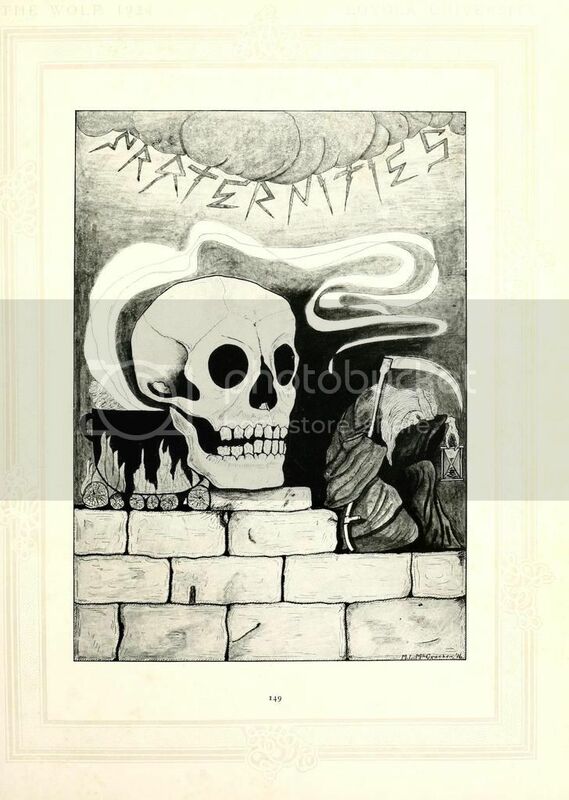 Today’s #pagefright — this spooky fraternity page from the 1924 Wolf yearbook. Spooky fraternity page from the 1924 yearbook. 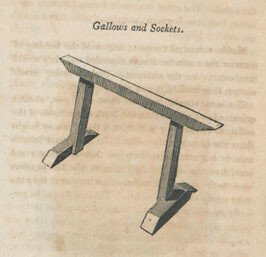 #PageFrights is a month-long social media celebration of Halloween, library & archives-style. Open Access means free, immediate access to scholarly material in full. It’s a reversal of the old model, where university faculty and researchers write articles, publish them in commercial journals, and the library has to buy them back for other faculty and students to read. That’s paying for it twice–-in the researcher’s salary and the library’s money! And the publisher owns the article and can decide when and how it’s used and reused-–the writer has very little further control over its use. The Internet provides a quick and simple way to distribute information to the world at a minimal cost, and is paid by organizations and individuals who want to see their research get the widest possible audience. Universities and libraries worldwide are getting behind this new model of scholarly publication. Open Access Week is a time to learn about this powerful new model. 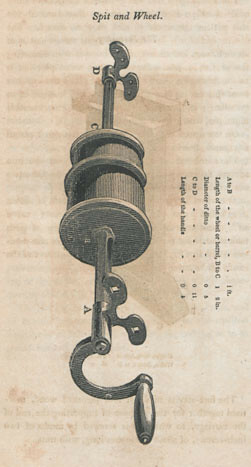 Find more information at http://www.openaccessweek.org. 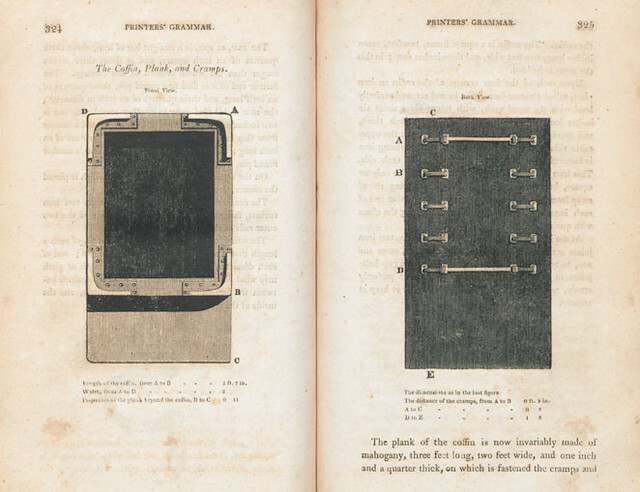 Enjoy this sampling of “the coffin, plank, and cramps” as well as other somewhat creepily-named parts of a 19th century platen printing press in honor of #pagefrights month. 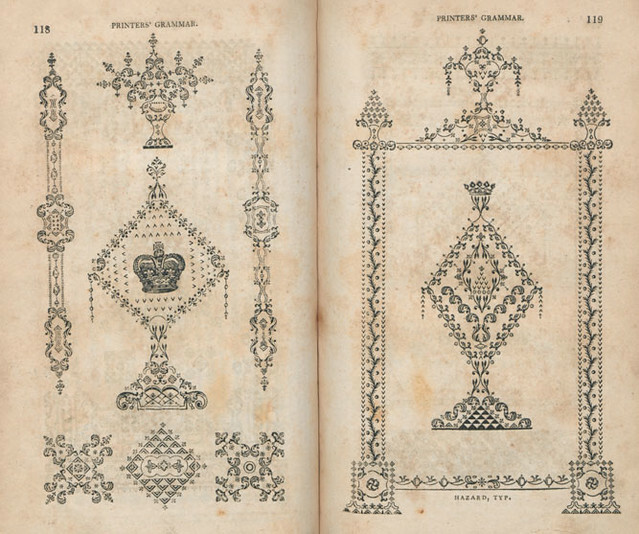 These engravings (and many more) depicting typography specimen, diagrams of type cases, ornaments, and more are located in The Printers’ Grammar, printed in London by C. Stower, 1808. Come view the book in person in the Booth-Bricker Reading Room on the 3rd floor of Monroe Library! And cast in Virtue’s mould the plastic mind. 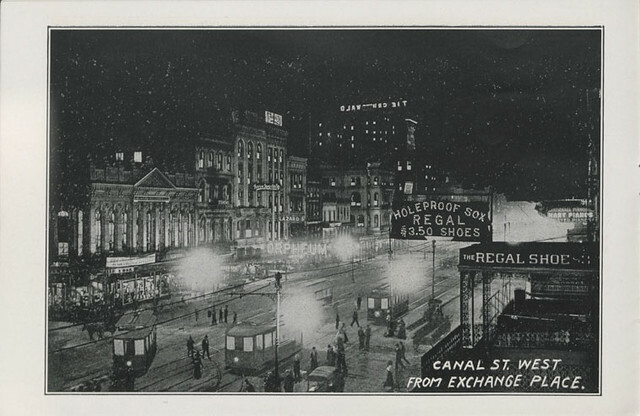 This recent acquisition by Special Collections & Archives features striking night scenes of downtown New Orleans in the early 20th Century. 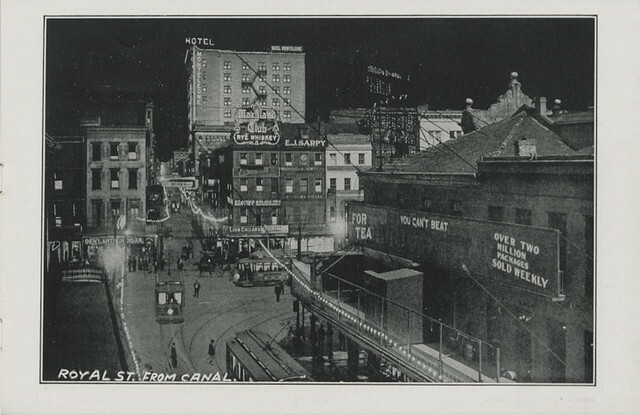 The black and white photomechanical reproductions of photographs feature aerial views of iconic streets and businesses near and around the French Quarter, all illuminated by windows, streetcars, and beautiful electric signs. 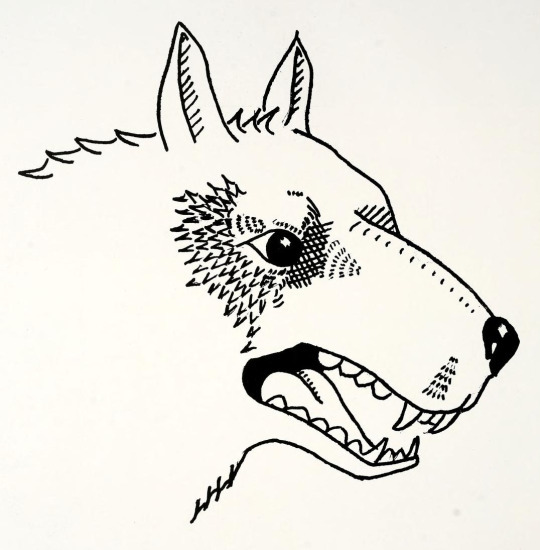 Today’s #pagefrights is this ferocious looking wolf (or is it a werewolf!?) from the 1949 Wolf yearbook. 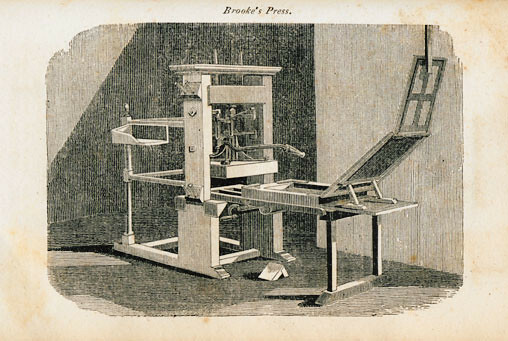 Media Services is happy to announce some brand-new equipment, ready to be used! We are very excited to add to our inventory two new DSLR cameras (CANON t5i EOS 700D) and external microphones (VideoMic), for any high-quality photography or video needs you may have. These cameras also include two lenses: an 18-55 mm lens and 55-250 mm telephoto lens. These new cameras have the capacity to shoot incredible video, and are equipped with an audio input that can be used with an external microphone–such as lavalier microphones–or our brand new VideoMic microphones. This high-powered equipment is sure to make your photography reach new heights and your film projects pop! Media Services has also expanded into more adventurous territory, adding to our inventory a GoPro Hero. This GoPro can shoot in four modes: Video, Photo, Burst (which takes ten pictures over two seconds), and Time-Lapse (which takes a picture every half-second). It is waterproof and boasts super stats like 1080p high-definition video capture. Wherever life takes you, take our GoPro! We are also pleased to announce a new portable wireless speaker. Battery-operated, this device can be used for presentations, and comes with one wireless handheld microphone and one lapel microphone. It can also be used for any musical needs, and can connect to any device with a mini-jack or over Bluetooth! It is lightweight and portable, but packs a serious auditory punch! By visiting the Monroe Library website at library.loyno.edu and following the “Reserve A/V Equipment” link under the Frequently Used banner, students and faculty are welcome to come have a look and reserve these exciting new items and much more! Remember, we need 2 working days lead time for all equipment reservations! 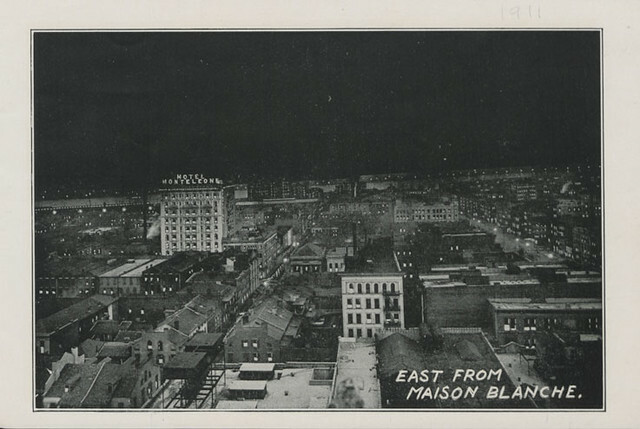 You are currently browsing the Library Lagniappe blog archives for October, 2016.